Facing mounting pressure, Justice A K Ganguly resigned as chairman of the West Bengal Human Rights Commission (WBHRC) following allegations of sexual harassment by a law intern. The former Supreme Court judge submitted his resignation to West Bengal Governor M K Narayanan when he met him at Raj Bhavan, the sources said. Justice Ganguly’s decision to quit came close on the heels of the Union Cabinet on Thursday approving a proposal for sending a Presidential reference to the Supreme Court on the issue, which was seen as a step towards his removal as WBHRC chairman. 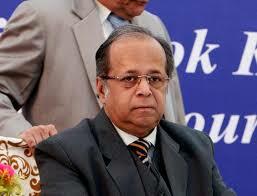 A three-judge Supreme Court panel had indicted Justice Ganguly by holding that the statement of the intern, both written and oral, had prima facie disclosed “an act of unwelcome behaviour (unwelcome verbal/non-verbal conduct of sexual nature)” by the judge with her in the Le Meridien hotel room on December 24 last year.